Most mystery readers have a few detective series that they follow closely, as much for the characters as for the stories. And authors are very clever, releasing personal information about their characters' current and prior lives very s-l-o-w-l-y. They can take quite a few books to build up a reasonably robust picture of the protagonist's life and character for the curious reader. During a recent spate of hurry-up-and-wait appointments, I had time to ponder a few of the more memorable detectives whose adventures have enlivened my days. Elizabeth George's Thomas Lynley, eighth Earl of Asherton and Scotland Yard Inspector, is a very interesting character with a brooding Heathcliffe touch. He was in college when his father died, leaving him with the title and estate and some responsibility for a younger brother, Peter. The tangled relationships within his family and his guilt at the accident that crippled his best friend, Simon Allcourt-Saint James, led him to abandon his mother and brother after his father's death in favor of the police force. He has acquired quite a reputation as a ladies' man, and goes home to his estates as seldom as possible. His friend Simon is engaged to Deborah, who had an earlier fling with Lynley, whose interest in her lingers in the early books. Lynley's partner, Sergeant Barbara Havers, comes from an entirely different working-class background. Her father is critically ill, and her mother beginning to show signs of incipient dementia. Barbara's in-your-face attitude and gritty hardscrabble home life is quite a contrast to Lynley's, whom she initially loathes. You can follow this cast of characters through a satisfying series of now 17 Lynley books, the first of which, A Great Deliverance, won numerous prizes. 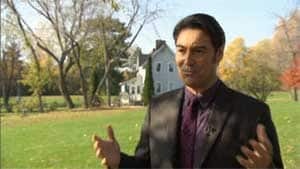 Several of the stories have appeared on PBS, with actor Nathaniel Parker in the title role. I am seriously intrigued by Louise Penny's compassionate, philosophical Armand Gamache in her Three Pines series, and have followed the gradual unfolding of his personality and life with avid interest from book to book. An honest, observant, even-tempered man, he has reached his position of Chief Inspector of the homicide department of the Sûreté du Québec through effort and talent alone. In contrast to Lynley, Gamache's home life is full and satisfying, if seldom glimpsed by the reader. He has been married for many years to the elfin Reine-Marie, and they have two grown children; a son in Paris and a daughter in Québec. We learn early that Gamache had been orphaned in childhood, and that there is something odd about his late father. Gamache is a supportive leader and mentor to his team, who trust him implicitly. His relationship with his second-in-command, Jean-Guy Beauvoir, is paternal as well as professional. It is not until Gamache meets the coldest woman in the series that I got a fuller––if viciously biased––picture of Gamache's father from a deliberately hurtful woman who happened to be the mother of his friend Peter Morrow, a Three Pines artist. 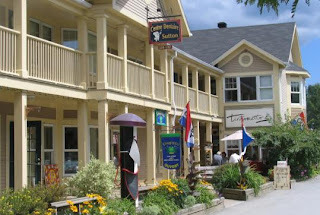 The town of Three Pines, in the beautiful secluded Eastern Townships of Québec, is as much a character in this series as the people. The author says "Three Pines wasn’t on any tourist map, being too far off any main or even secondary road. Like Narnia, it was generally found unexpectedly and with a degree of surprise that such an elderly village should have been hiding in the valley all along. Anyone fortunate enough to find it once usually found their way back." Artists, damaged people, and general misfits tend to find it and settle there, offering a heady brew of characters for the novelist. Cell phone and television reception are unreliable; the village gets its outside news from visitors or the newspapers. Even the postman lingers there, to have an espresso in Olivier's bistro and watch the enchanted, slow-moving panorama. Most of the cases in the series are set in or have their roots in this hauntingly beautiful hamlet. It is hard to believe that Sister Mary Murderous introduced me to this series only a few years ago. I feel that I have known this place and these people forever; yet each book offers fresh insights into the place and characters. The author has finally approved a series of made-for-TV movies based on the series, which PBS will surely pick up for viewing in the states. Curiously, actor Nathaniel Parker, who played Thomas Lynley, will also play Gamache. He didn't work well for me as Lynley, so I will be curious to see how he meets my expectations as Gamache––a more demanding role and character. The author has said that the character of Gamache is modeled on her husband of many years. If so, these books are a remarkable collection of love letters to a good and fortunate man and a place many of us have dreamed of finding someday. Each of the eight books in this character-driven series has been a feast of personalities and place, well worth lingering over and rereading. The last, The Beautiful Mystery, closed with an unhappy resolution for the characters, so I am hoping for a better outcome from the next book, How the Light Gets In, due for release in August. Lord Peter Death Bredon Wimsey was my first serious fictional crush, and one of my most enduring. 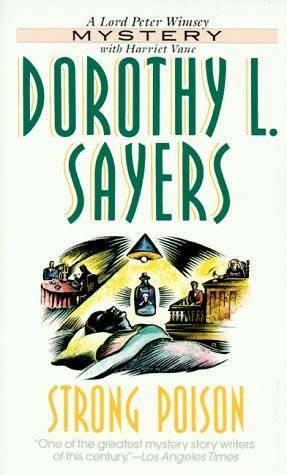 Dorothy L. Sayers's Golden Age aristocratic detective is the second son of the late 15th Duke of Denver and the half-French Dowager Duchess Honoria Delagardie, who is a recurring and charming character throughout the series. His brother, the current Duke, is a traditionalist and a bit of a stuffed shirt, and his younger sister Mary fancies herself a bluestocking and a Socialist. While Wimsey presents himself as an affable idiot in society, his keen gift of logical deduction and strong sense of responsibility involve him in the solution of murder mysteries and occasional sensitive diplomatic missions for His Majesty's government. At the beginning of the series, he is suffering from what today we would call PTSD, as a result of having to order men to their deaths during World War I. His mother and doctors are in despair; he stays in his bed at Denver, terrified to give any order to anyone for fear of possible consequences. Not until his army batman Mervyn Bunter shows up and takes him in hand does he begin to recover. I remember a bit from one of the early books when his mother comes into the London flat and Bunter beams at her and carols "My Lady, he just told me to take away this damned slop and bring him some sausages." While he continues to recover, Wimsey has recurring bad episodes when murderers are hanged as a result of his investigations throughout the series. Not until the fifth book, Strong Poison, does Wimsey meet the love of his life, a woman who eludes him through most of the rest of the series. Young author Harriet Vane is accused of having poisoned her artist lover because he was unfaithful. Wimsey becomes involved in the case at the request of a friend, and proves the lady's innocence. He also falls deeply in love with her, and thereafter proposes at least once per book, but she will have none of him. The endless permutations of this most prickly and poetic romance enliven the rest of the series until and even after the lady yields. Common knowledge has it that Sayers herself fell in love with her detective, and even if she didn't, many readers around the world certainly did. The older books in this series of 13 contain references that are shockingly politically incorrect by today's standards, but were ordinary and expected usage for the period in which they were written. At the request of Dorothy L. Sayers's estate, author Jill Paton Walsh completed Sayers's final Wimsey/Vane novel, Thrones, Dominations. She has since published two more Wimsey/Vane novels, A Presumption of Death and The Attenbury Emeralds. All of these series are worth reading in order, and rereading from time to time. I am a bit in love with all of these detectives. (Fortunately, my husband isn't the jealous sort.) While I may forget parts of which mystery occurred in which book, I can pretty well track the development of the characters and their relationships throughout the series. They are developed enough to provide good company in boring or frightening times, and never yammer or intrude when not wanted. Wow, three of my favorite detectives! I'm looking forward to the Three Pines dramatization. I never pictured Gamache looking like Nathaniel Parker, but I'll keep an open mind. Sister, I too am curious. Initially, Parker didn't seem right for Gamache, but he has the physical substance and presence. The author is heavily involved in the production and, according to her newsletter, very pleased with the casting.